Gerard Piqué is one of Spain's most decorated active players, and has been a fundamental part of his country's most successful era. He is set to reach a milestone this Wednesday night, as the national team's game against Iran could mark his 100th official appearance. Likewise, Luis Suárez could receive his 100th cap for Uruguay, who play Saudi Arabia. 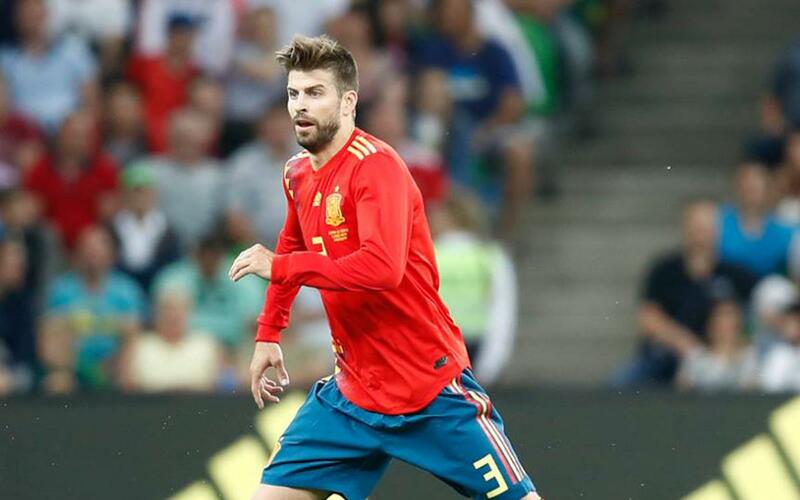 Although he played his first game for Spain on 11 February, 2009, in a friendly against England, Piqué's full debut for 'La Roja' came on 28 March of that year. He rounded off the occasion with the only goal of a 1-0 win against Turkey. In subsequent years, Piqué would form part of the 2010 World Cup winning squad in South Africa and the 2012 European Championship-conquering side in Poland and Ukraine. Suárez is a hugely important player for Uruguay, helping them to Copa America glory in 2011. He is also his country's most prolific goalscorer of all time, having found the net 51 times since his debut in 2007. Should either of the pair claim their 100th cap today, they would join a select group of Barça players with a century of international appearances to their name: Xavi Hernández, Andrés Iniesta, Andoni Zubizarreta, Cesc Fabregas and Carles Puyol (all for Spain).